Josh Sitton #71 of the Chicago Bears rests on the bench during a game against the Green Bay Packers at Soldier Field on December 18, 2016 in Chicago, Illinois. 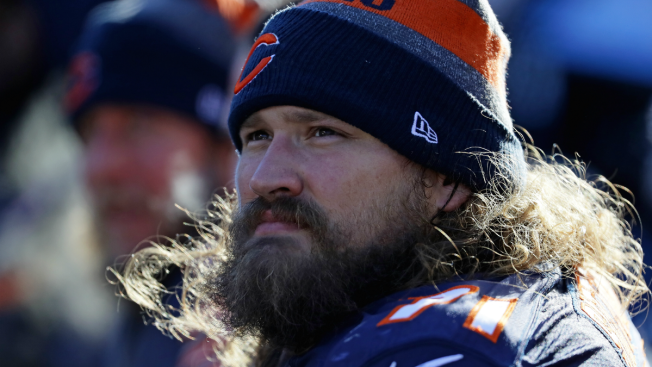 The Chicago Bears will have a second representative in this week’s Pro Bowl in Orlando, as offensive guard Josh Sitton was named to the event as an injury replacement. Sitton, who signed with the Bears before the season after being cut by the Green Bay Packers, will join running back Jordan Howard on the roster for the game, which will take place on Sunday evening. The guard will replace Packers guard T.J. Lang, who suffered an injury during the postseason and will be unable to participate. According to a press release issued by the Bears, Sitton was part of an offensive line that helped the squad to the third-best gross passing yards total in team history with 4139. He also helped the Bears to a sacks-per-pass-percentage of 5.01 percent in 13 appearances this season. Sitton will be in the Pro Bowl for the third time in a row after appearing in the last two seasons with Green Bay.